Shoes. They’re just a way of getting from A to B, right? As long as they’re comfortable, that’s the only thing that matters. At least, that’s what I used to think. In my lifetime I’ve had every bad shoe you can think of, including (but not limited to) cheap square-toed black and brown shoes, pointy clown looking shoes, slip-on moccasins. Hell, I even had Velcro shoes, like some escapee from the asylum. And, to be honest, I didn’t much care. They served their purpose of keeping the elements off my feet, and kept me warm. Then I had my epiphany: I realised that women love shoes. I’m not talking the kind of love you have for your favourite pet, or even your favourite parent. No, it runs a lot deeper than that. Therefore, if they love shoes, it stands to reason that they will be looking at your shoes. For this reason (assuming you’re trying to attract the attention of females), this is where you should be spending your money. A good pair of shoes can save a bad outfit, but a bad pair of shoes will kill a great outfit. It instantly ruins the overall aesthetic seeing some cheap faux leather monstrosities propping up a great suit. I believe that a man only needs a few pairs of quality footwear to get through life. These are your bread and butter. They go with most suit colours at the office, work for weddings and funerals, and add a simple understated elegance to an outfit. 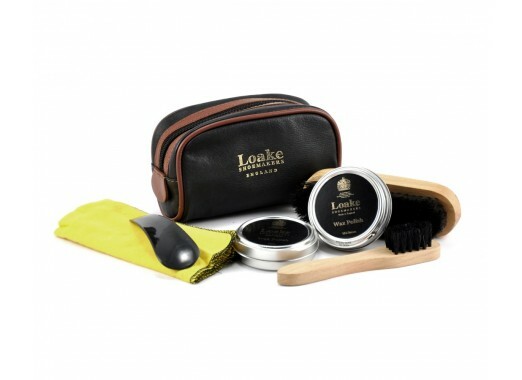 You can also pick up a decent pair from the likes of Loake for around £80-100, but i’d recommend going a bit higher. If you have a grey or navy suit, you’re going to want to get some brown shoes. Of course, you could get some brown derbies – but I prefer the added character of the brogue detailing (the holes at the end of the shoe, for the uninitiated). These can also be worn in a smart-casual way with navy or beige chinos. Personally, I think Barker make the best brogues. In either suede, leather or beeswax, these are the most versatile shoes in your off duty wardrobe. They’re very comfortable and work perfectly with denim. The desert boot was originally created by Clark’s, and I believe they still make the best desert boots to this day. No, I’m not talking about sports trainers. 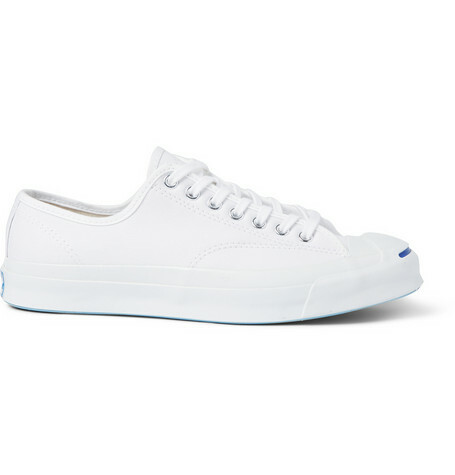 These are clean, minimalist shoes in either leather or canvas. For these you should be looking at brands like Converse or Common Projects. Like it or not, sometimes you have to go sockless. This can either be with hemmed trousers or shorts. Loafers – either the penny or tasselled kind – complement these options perfectly. Russell & Bromley, as well as making amazing boots, have a great selection of loafers. Honourable mentions: Chelsea boots, suede brogues, burgundy semi-brogues. – Avoid shoes made on the high street. When shopping somewhere like Zara or h&m you will see shoes for sale. Avoid these like the plague. Cheap leather, poor construction and malleability creates an uncomfortable foot in shoe experience. – Look after your shoes. If you’re spending a lot of money on shoes, you want them to last a long time. Buy wooden shoe trees to maintain the shape and wick the moisture out of the shoe after each wear, rotate what shoes you wear each day, use water resistant spray on your suede, and polish your shoes at least once a month. – Look for ‘New with defects’ on ebay under the condition heading. Shoe sellers will often list shoes in this condition. The ‘defect’ is likely just a scratch or small blemish, but that blemish could save you a lot of money off full retail value. What have i missed? Leave a comment below. I’m glad you liked it! Yeah, I’ll keep writing them. I notice you didn’t put boat shoes on here. I have some but have been moving away from them and wearing my converse more. Any thoughts? Especially with shorts? I live in Calfornia. I’m a big boat shoe fan! It’s just an oversight they are not in there 😳 To be honest, my blue and brown boat shoes are my go-to shoes in hot weather with invisible socks.